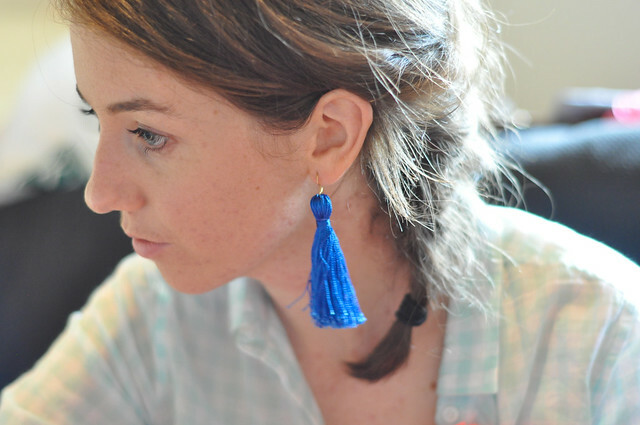 Here's some tassel earrings we made yesterday during our crafternoon (more DIYs to show from that soon!). 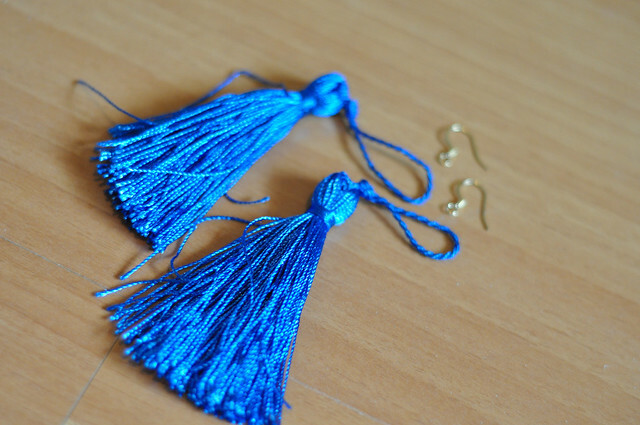 I picked up a pack of tassels from a small shop in mum's hometown whilst we were in Malaysia, but I'm sure it'd be relatively easy to find similar ones here in Perth. Geneva from A Pair & A Spare made similar ones ages ago which you can see here (click around her site to check out more in different colours!!). 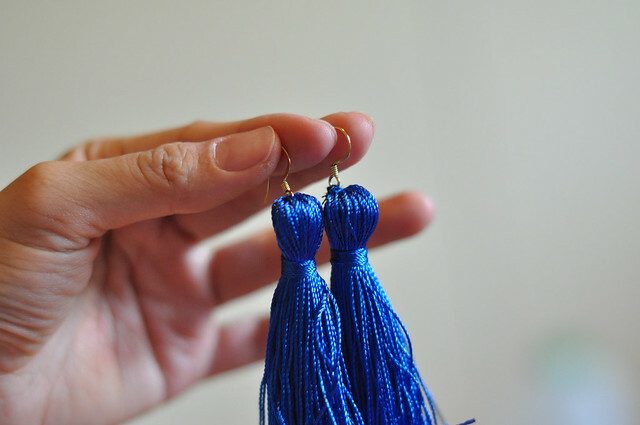 In our reincarnation of her lovely DIY, I've used hooks instead of studs, and sewn on the tassel to make it a more permanent creation. I personally like the studs more, but I already had some gold hooks and they still look okay! 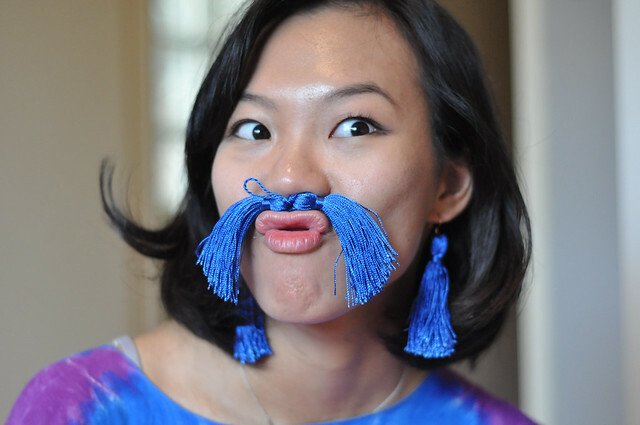 Tassels - get longer ones like Geneva's to give a more dramatic effect! 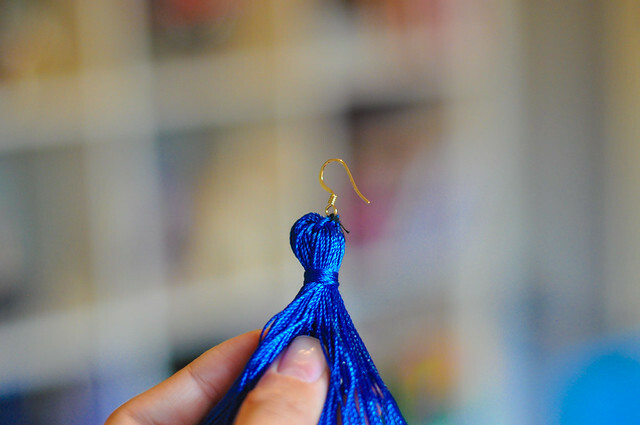 Whilst keeping the knot to make the tassel secure, chop off the bit which you use to hang up the tassel. 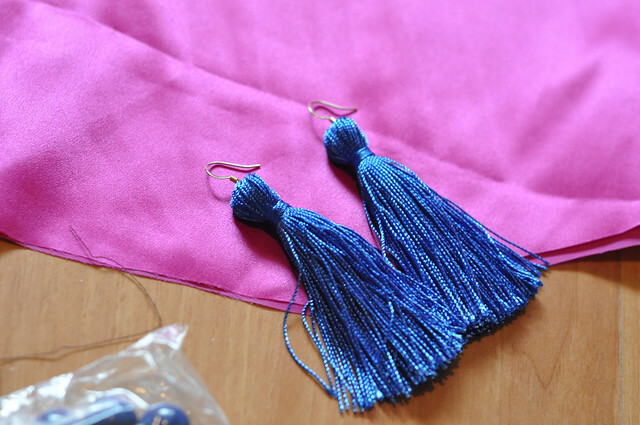 Stitch it securely behind the body of the tassel-head, and sew on the earring hook as well. You could put a spot of superglue onto the knot, just to make it extra secure if you like. Team it with a day-time outfit to add a bit of colour, or wear it as a moustache. Look so easy to make! Yes, I will definitly go gor the bright blue. That's it? Oh man, I love simple DIYs like this!